No more maintenance required, leave these sets out all year round without a cover! 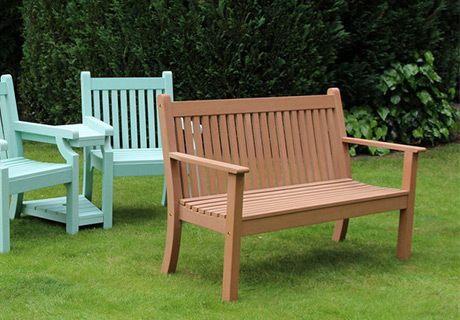 This is luxury and modern style combined with durable materials, to create the perfect garden furniture set. Synthetic rattan has been hand woven to create that “give” in the seats, and come with cushions included to make them very enjoyable to sit on. It comes in a range of chairs, dining sets, and sofa sets, available to purchase online. In contrast this is a far more traditional style of garden furniture, with the aim to look as close to hardwood furniture as is possible while remaining weatherproof. It’s called Winawood, and is made from compressed plastics that gives it a grain effect, meaning most people cannot actually tell that it’s not wood. 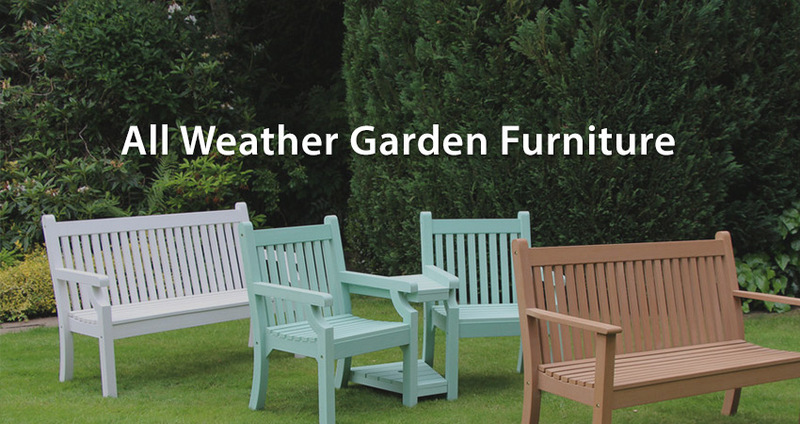 We have a fantastic range of all weather garden furniture for you to choose from, including durable composite furniture, benches, dining sets and sofas. We also have UV stabilised rattan furniture, with aluminium frames to prevent rust. We also stock Winawood furniture, a new composite material made from compressed polystyrene, that looks and feels like wood but doesn’t rot, warp or go brittle. They also have a brand new range of rattan garden furniture available within a 100 mile radius of the garden centre from September 2017 onward, so we highly recommend you check them out! You can also browse our page on garden bistro sets here. Winawood weatherproof furniture is a fairly new type, becoming more popular as we move into 2017, with many different reviews stating it’s durability, and quality of build. You can learn more about it, including how to buy Winawood online at their website. 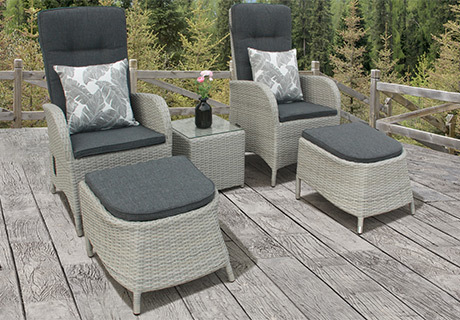 If you’re interested in a modern looking set of rattan furniture, then you must choose the synethetic variety, that’s been hand woven around a strong aluminium frame. This frame cannot rust, and so can survive outside in the snow and ice. Also the threads have been UV stabilised, preventing any sun damage from UV rays, and ensuring this furniture will not fade, rot, or go brittle either. The perfect option for a modern garden, as it usually comes in darker colours such as grey, black and brown rattan. However there is a brand called Cozy Bay, that seems to stock golden coloured hairy rattan, a very authentic looking product. If you’re interested in learning more about Babyplants.co.uk click here.